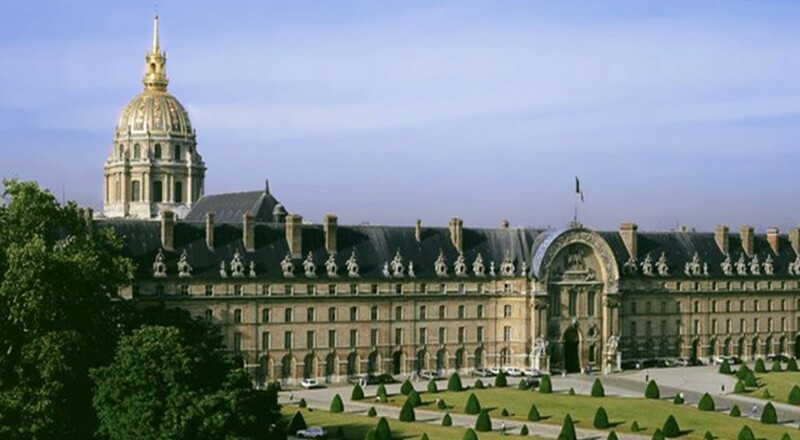 To understand the history of the Paris Musée de l’Armée we need to go back to the seventeenth century. In the seventeenth century, when there was no structure to house disabled soldiers, Louis XIV decided by the 1670 order to build « un hostel royal pour y loger tous les officiers et soldats tant estropiés que vieux et caduques ». Under the reign of Louis XIV hotel’s success is affirmed, nearly six thousand invalids will be admitted between 1676 and 1690. To heal the sick the hospital employs prestigious physicians and surgeons foreshadows the first modern hospital where hygiene rules are rigorous, and with active clinical research. And define the outset missions which the institution is now heir after more than three centuries of existence. This hotel, where the spiritual life is an important part, is enriched in 1678 by the construction of the church of the soldiers, became St. Louis, then by that of the dome, or royal church, designed by Jules Hardouin-Mansart in 1706. The Hotel des Invalides still hosts a hundred badly disabled war veterans of the French armies. The Authority of the mission is the National Institution invalid. It was not until 1872 that the hotel gets a museum function: Artillery Museum in 1872 and the Historical Museum of Armed forces in 1896, the two are merged in the army museum in 1905. Today the museum with 8000 m² (museum, two churches) preserve 500 000 listed objects. 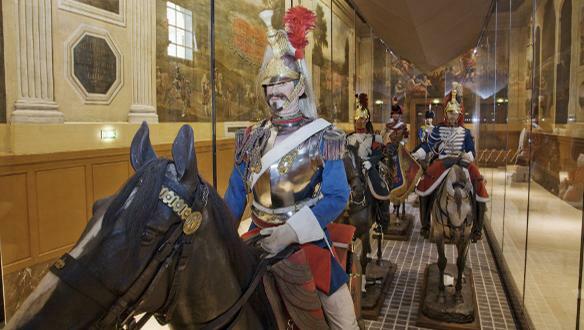 These figures make the Museum of the Army’s the largest military history museum in France and one of the very first in the world. The permanent collections are divided into so-called “historical” collections, corresponding to a chronological circuit from ancient times to the end of the Second World War, enriched with objects belonging to sets “thematic” (emblems, paintings, decorations …). These thematic collections are to be presented over the historic rooms or confined to specific areas. 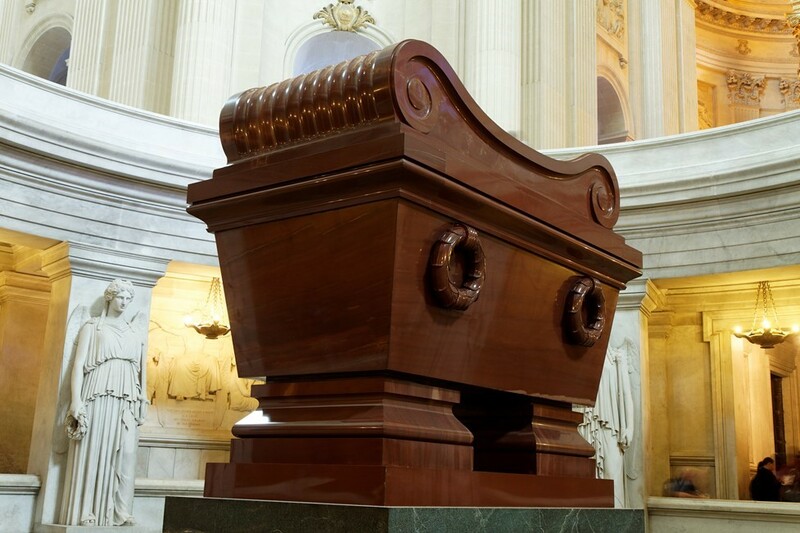 The museum is also a real military pantheon with the tombs housing the heart of Vauban, the remains of Turenne and the heart of the Tour d’Auvergne; The Dome mainly welcomes the tomb of Napoleon I, the graves of his brothers Joseph and Jerome Bonaparte his son, the King of Rome, General (Bertrand and Duroc) and marshals (Foch and Lyautey). Check this great video about the museum.